A new gallery shop is located at 1006 West 5th St. in front of Salon Vogue. The Mountain Heritage Artisans Guild (MHAG) gallery shop features the work of artisans who are members of the Guild that includes everything from painted works to hand-carved musical instruments. 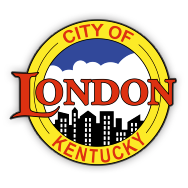 The MHAG calls London their home but reach into residences and workshops in many towns in the Cumberland Valley region and beyond. The work of the Guild’s members represents contemporary, traditional and experimental forms. They promote fine art, folk art and original handmade crafts. The gallery shop’s hours are Wednesday through Saturday 10am-6pm.